rexx Time Management opens up new opportunities for efficiently mapping processes relating to working times and absences, such as vacation, illness or education. Time registration and absentee management are carried out entirely online. That means: fast implementation, no installation, no updates, high levels of security, available anywhere at any time – ideal for multiple locations, mobile access or teleworking from your home office. We also offer classic time-registration terminals, in-house time registration and interfaces to existing terminals. 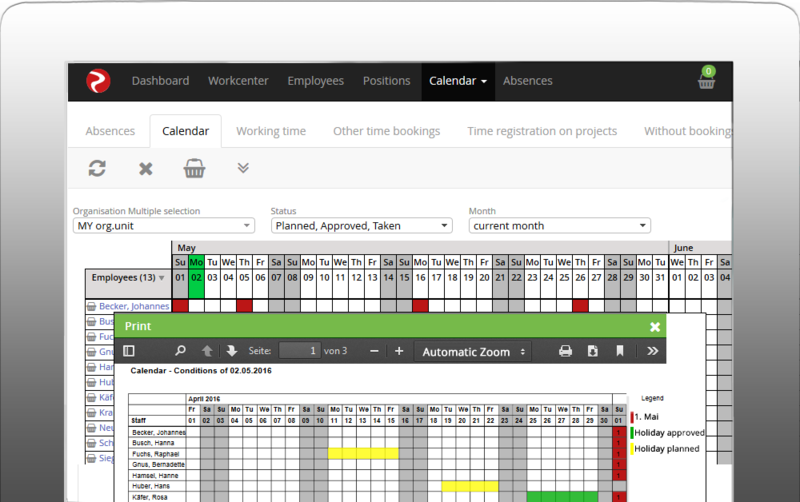 rexx Time Management software offers multi-client capability, which means that you can maintain the working time and absentee data of your employees for different sites, business units or departments either jointly or separately – depending on requirements and company-internal authorisations. rexx Time Management is available internationally. The software takes into account country-specific regulations based on local legislation and is available in various languages. The software is provided to you either as a licence installation on your server or as a practical rental solution, so-called software-a- a-service in the cloud. The two modules, Time Registration for recording time and Vacation Manager for managing vacations, are also available separately. 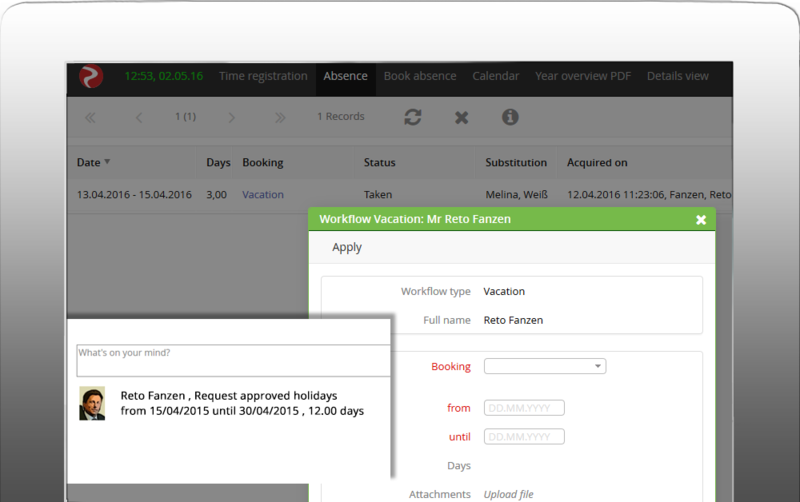 rexx Vacation Manager offers efficient absence management including an application and approval workflow. Book your holiday, business trip or other absences quickly and easily via the Internet/intranet or directly using your smartphone when you are on the go. You will be sent a message as soon as the application has been approved – also to your mobile phone. The rexx search & list engine supports you in generating your individual reports through a highly intuitive interface. Select the data you want displayed with one mouse click and set the filters. In no time at all, you can generate informative analyses of data such as the remaining leave on a specific date, outstanding sick days, hourly account balances, overtime or average and total values. Just one click and all reports can be exported e.g. to Excel. Linking the HR management system with the salary statement software simplifies processes and increases transparency within the company. You only need a browser for rexx Time Registration – and you’re ready to go. No terminal and no additional hardware needed! Enterprise Social Networks creates a new transparent form of internal company communication via social media functions.